IAB Ireland is committed to assisting members to remain certified in the areas of Digital Ad Sales and Digital Ad Operations. Once the assessment has been passed and the global standard of certification is issued, candidates must display, over the following 2 years a commitment to continuous learning. A total of 20 credits must be attained over the 2 years after a certification award, in order for the candidates to be eligible for recertification. Where candidate have attended non-IAB run Digital training – we will review the agenda and revert with details of possible credits to be awarded. 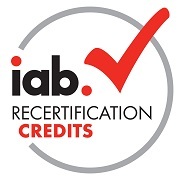 To find out more about recertification, please view the IAB US recertification web site sections; IAB Ad Ops Recertification and IAB Digital Sales Recertification. Or please email donna@iabireland.ie to find out more.